There are 6 PES Tactics for us to choose from – Possession Game, Quick Counter, Long Ball, All Out Attack, All Out Defend, Standard. Which is the best depends on the team and the players you have at your disposal. That said, I feel that no matter what tactics we use in PES, we should try to adopt one style of play – Counter Attack. Counter Attack is the way to win in PES. With more attackers than defenders, it is much more easier to score. Counter Attack is not simply choosing the Quick Counter tactic. While using Quick Counter helps you launch counter attacks, the high defensive line makes it unsuitable for online games. This led many players to adopt tactics such as All Out Defence, Long Ball and Standard, which has a lower defensive line. 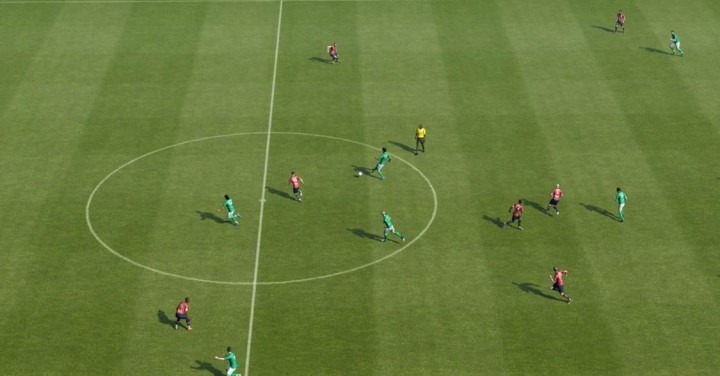 No matter what tactic you use in PES, you can still play the counter attacking way, because counter attacks are more influenced by the passes and player runs you make, than the tactics you choose. Have you ever encountered the situation where you hold on to the ball for a long duration of time, send many of your players into the opponent’s half, dribble around and try to find a killer pass but end up losing the ball? The next moment, the opponent makes one killer pass that rips your defence apart and you concede a goal. You worked so hard to score a goal through possession play, yet the opponent can score with just a simple cross field pass. Losing the ball, leading to a counter attack. It is frustrating if you are on the receiving end, but very satisfying if you just made the through pass. Since that is how the game engine work, we shall use it to our advantage. Possession game is great. It is a feast for the eyes. However, you can only play possession game against another opponent that thinks like you. If not, you will end up irritated and switch off your PC/console in anger. 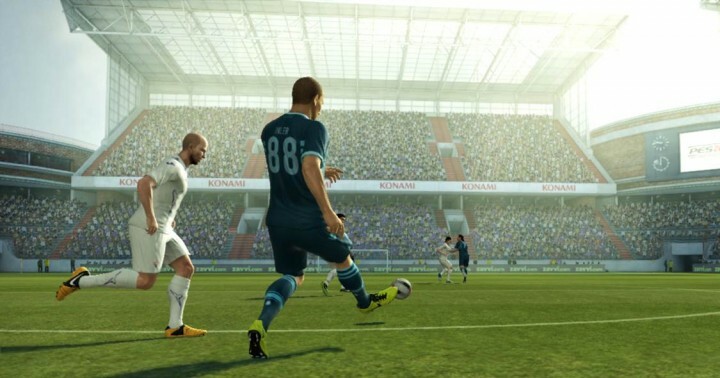 In this post, you will learn about 4 tips to successful launch counter attacks and score more goals, no matter what your chosen pes tactic may be. You will have to trigger player runs with the right analog stick. Whether it is assisted or manual depends on you. Once you win the ball from the opponent, quickly command your attacker to make forward player runs. Sometimes, your AI controlled teammates may make runs of their own, but that occurs randomly. Trigger player runs yourself give you more control of where and when you can make your passes. When playing with the AI, the striker may make decoy runs to open up space for the ball carrier. This can be an option for you if you are using manual player run. Commanding the striker to run to the flank will draw the center defender with him. This opens up space in the middle for you to exploit. The reason for launching counter attacks is to pass the ball upfield quickly and hopefully, you have more attackers as compared to the opponent’s defenders. Passing from deep or near the halfway line helps to achieve this as when the ball carrier is near the halfway line, the opponent’s defensive line is still relatively high. This allows you to send a ball behind the opponent’s defence for your attacks to chase down. If you were to bring the ball into the opponent’s half, the defensive line will retreat towards goal, which reduces the amount of space your attackers have to exploit. This works in conjunction with the first point. Once you win the ball back in your own half, trigger a forward player run, and send a forward pass from your own half to take advantage of the opponent’s high defensive line. Making accurate passes is not only crucial for successful counter attacks, it is the basics of playing out a decent game. Thus, you should choose a level of passing assistance that suit you. A recommended level will be 1 or 2 bars. Anything higher gives too much control to the AI, which makes the game feel very fake. Using no passing assistance is only recommended for veteran players. It is not easy to determine the ideal direction and power for every pass you make in the game, and you may end up feeling more frustrated after playing the game. What I will recommend will be to use an assistance level of 1 bar. This will get you through many of normal passes made in the game. Should you need to make a killer through pass or pass into space for a teammate, hold L2/LT to activate manual pass mode to give yourself full control. This strategy will give you the best of both worlds. When sending a forward pass to launch a counter attack, a manual pass tends to be more accurate. The key to launching swift counter attacks is to win the ball back quickly, and send a forward pass before the opponent players have a chance to track back and regroup. Man marking key players in the game will help. If your opponent keep sending the ball to Messi or Aguero, man mark him. This makes your defender stay close to him throughout the game, which gives you the opportunity to rob them of the ball quickly and start the counter attack. No matter what PES Tactics your team adopt, a counter attacking style of play will help you score more goals. By marking key players, robbing them of the ball, triggering a teammate run and sending a manual forward pass from your own half, you can split the opponent’s high defensive line and give your attackers much-needed space to run towards goal and score the goals you need. cant you plz show us a formation and tactic that reflects all you mentioned above ? I like to use a 4-3-3 / 4-2-3-1 formation, with either a Quick Counter Formation, or a Long Ball formation. Real Madrid uses a 4-2-3-1 formation, which is perfect. If you wish to play defensive, a Long Ball Formation will be better as it allows you to keep a strong defensive base and try to score a goal or two from a long forward pass. Hi Sepo, sorry for the confusion. I meant the long ball tactic. All the best! Are you saying you believe the Counter Attacking tactic is the best to use in PES 2013 irrespective of the team? I tend to think that barcelona arent particularly set up well to play like this (and the long ball tactic) as their players are small and usually bullied off the ball by physically stronger teams like Real and City. Also, the high defensive line required for a counter attacking game is dagnerous as barca is a naturally attacking team. I honestly think that PES 2013 made Real too strong physically and the players are faster more agile and have better reflexes than other teams. Also, what Defensive ine level would you recommend for a possession game? Based on playing PES online and offline against friends / AI, I felt that PES 2013 favours players who are able to counter attack quickly and send quick through balls forward. This seemed like the best and easiest way to score, thus I created this post to highlight the efficiency of a counter attacking game. Regardless of the tactic that your team uses (Quick Counter, Long Ball, Possession), the gameplay style of sending the ball forward quickly seems to work pretty well for most of the teams I use. Counter attack need not require a high defensive line too, as too high a defensive line makes your team prone to counter attack. I will try to playing a low defensive line with the aim of drawing opponents into my half, and once I win the ball back, I will quickly pass the ball forward to launch the counter attack. If you are using the Possession Tactic, the minimum defensive line setting is 16, which I feel is pretty high, thus I will usually use the Standard Tactic and set the defensive line to 5 or below. 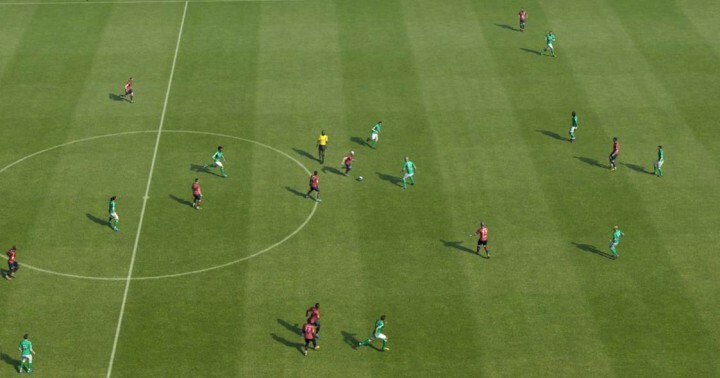 I guess the most efficient way in PES 2013 is to attack is by launching thru balls in a counter-attacking play like you said. Theres nothing much else to do but defend it as well as you can and also use it to your advantage. I’ll keep working on it till 2014 is out. No problem Fem. 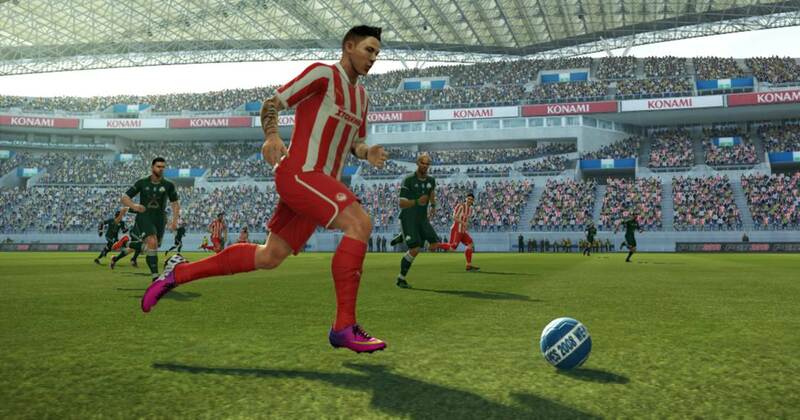 I hope the tutorials in PES Academy helped you in defending and launching through balls! Oh yes, they definitely helped. I’m on an 11 game winning streak now which isn’t bad. I went on a long slump a month or so ago so happy to be enjoying the game again. How can one counter attack with Barcelona and what is the best Tactic to use when u’re leadinq and u don’t wanna use All out defence? For counter attacks, try sending chip through balls down the flanks, or to your striker. Barcelona’s attackers are rather fast and you can send them on forward runs before trying through balls for chip through balls. When you are leading and wish to defend, you can decrease the settings for ‘Player Support’, ‘Shifting to Attack’ and ‘Attack/Defence Level’. Your players will be more likely to stay back in your own half and assist in defending.